I have updated the Sinhala Midi Track Section.Now over 70 midi tracks are available to download for free. 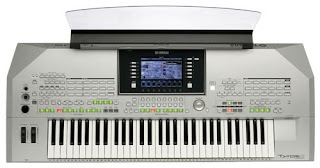 Most of these midi tracks are optmized to playback on Yamaha keyboards. These keyboards have a floppy disk driver or a USB port which can be used as the input method for the midi files. Go to the Updated Midi Song List. Following Old links won't work anymore. If you like these Midi songs please add a like to Sinhala Midi Tracks Page.